Yesterday, dino-tastic drama Terra Nova was canceled. As it should have been. It wanted to be the next Lost, in which a band of survivors builds acommunity while untangling mysteries. Instead, it was just dull. Many showsbefore it have also tried to be the next Lost — with overarching mysteries, large ensembles, and intenseserialization — and also failed.Flash Forward. The Event. The Nine. And the next one, whatever it is, or whatever network it airs on, willfail too. It will have too many Jacks and too many Kates. Normal characters usually make for bad TV. Fortunately, Lost had a host ofother, more fascinating characters: A sociopathic, insecure and charismaticvillain, a Southern Han Solo and a rogue, a self-doubting cripple who learned howto walk. Just for starters. As I’ve said before, characters in science-fiction or fantasy have to bemore vivid to overpower the laser blasts, dinosaur roars, or magicspells. Most shows don’t get this, settling for Sam Worthington-blandcharacters. It will rely on special effects. Special effects are the fodder of the blockbuster but the bane of anytelevision premise. Even with today’s technology, you just can’t produce 13 to24 hours of Jurassic Park-level special effects believably. When theytry, they run up costs to unsustainable levels, adding to thelead time on episodes and distracting from the performances. It will substitute momentum for mystery. One of the most problematic trends in TV drama is the notion of “mythology.”Really, this began with The X-Files, in which cases of the week occasionally gave way to larger questions, series-longplots, and unanswered weirdness. Lost had its own share of mysteries — many ofwhich never got satisfyingly answered. But here’s the thing: Lost answered questions as fast as it posed them. Andthey were always secondary to the momentum of the story. How do you survive, howdo you get rescued, how do you survive the attack from the natives? Overarchingmystery was always something Lost managed inconsistently. 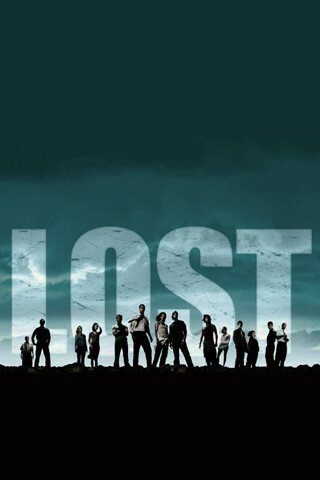 Shows that try to become the next Lost would do better to emulate Lost’s characterization, speed of plot momentum, andunderstanding of how personality creates conflict, rather than the fact that itmade people wonder what the smoke monster was. The weirdness of Lostwas not the story. It was just what catalyzed it. Who will save the Spotlight?